In September 2016, Two Rivers engaged in the collaborative inquiry process to use i-Ready data for establishing SIP goals for literacy and numeracy for the 2016-2017 school year. 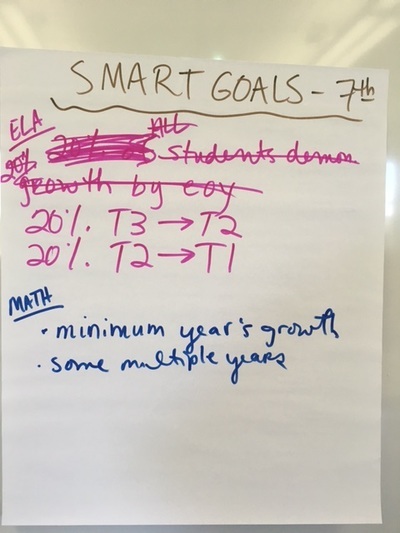 Dr. Margie Johnson facilitated two sessions on September 20th. 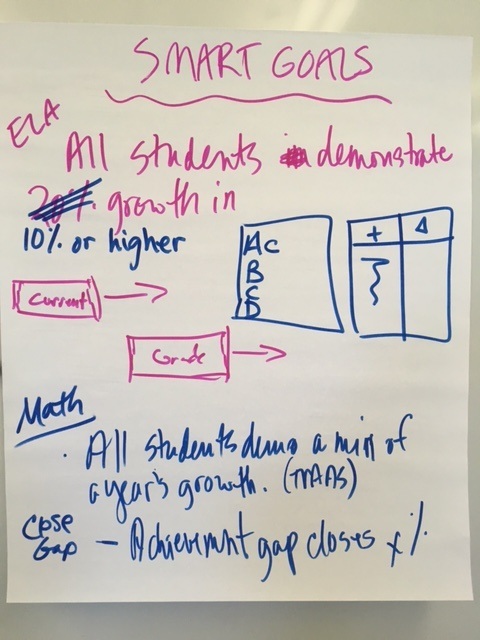 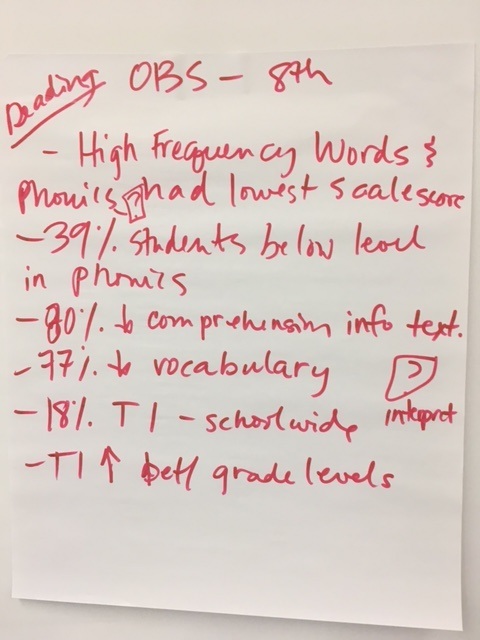 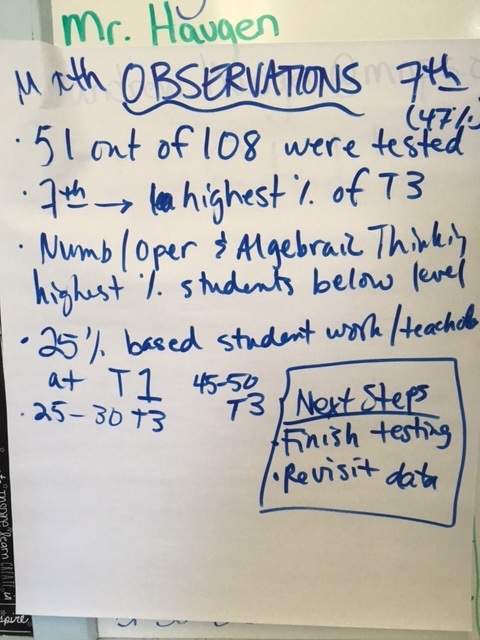 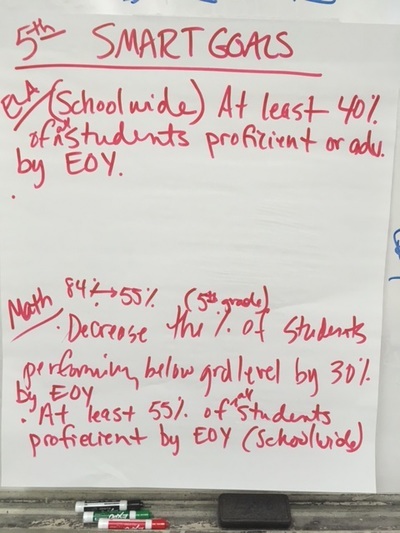 On September 27th, Executive Principal Dr. Shelly Dunaway, Assistant Principal Kristin Rowan, and Numeracy Coach Robert Reynolds used the recommendations with the leadership team to reach consensus for their 2016-2017 SIP goals and action steps for literacy and numeracy. 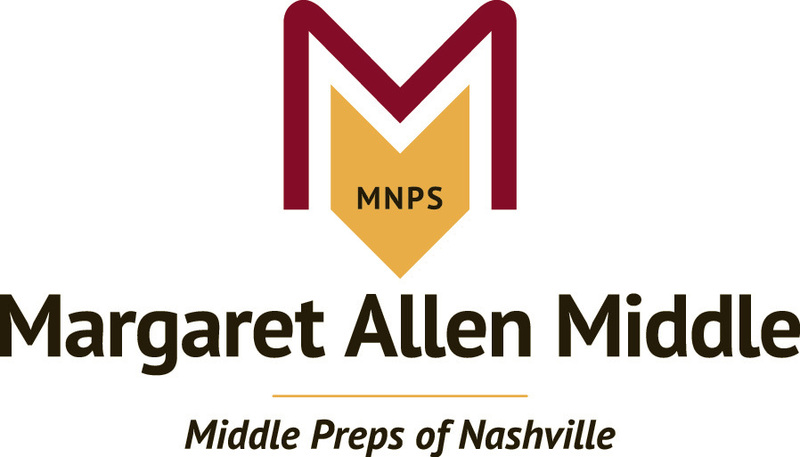 Click ﻿HERE﻿ to access their meeting materials. 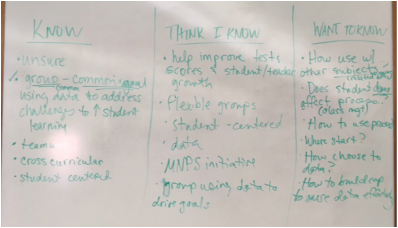 The activating and engaging component of the meeting was Know, Think I Know, and Want to Know (Lipton & Wellman, 2011) activity about the collaborative inquiry. 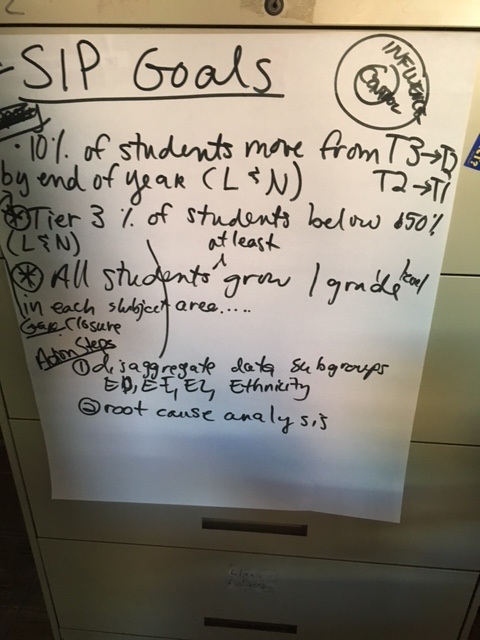 Since Two Rivers was part of the spring 2016 community of practice, it was a great springboard for our conversation. 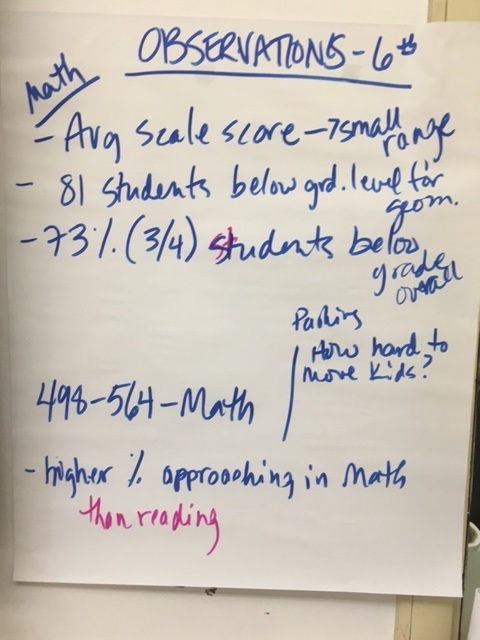 A review of collaborative inquiry was provided, then the meeting continued during grade level team meetings. Collaborative inquiry is a data-based team process that consciously uses the collaborative learning cycle (activating and engaging, exploring and discovering, and organizing and integrating) and the qualities of effective teams (fostering a culture of trust, maintaining a clear focus, taking collective responsibility and data-informed decision making. 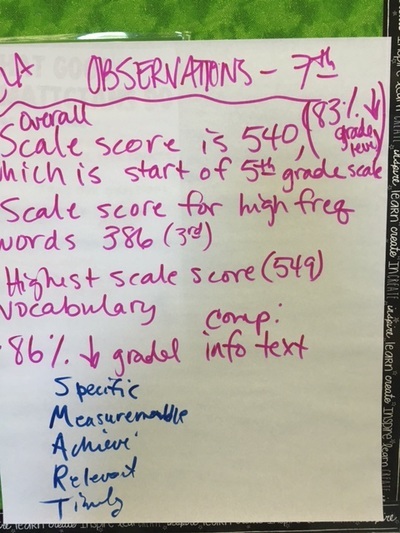 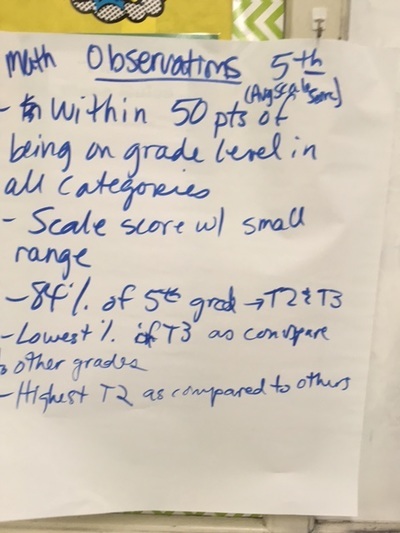 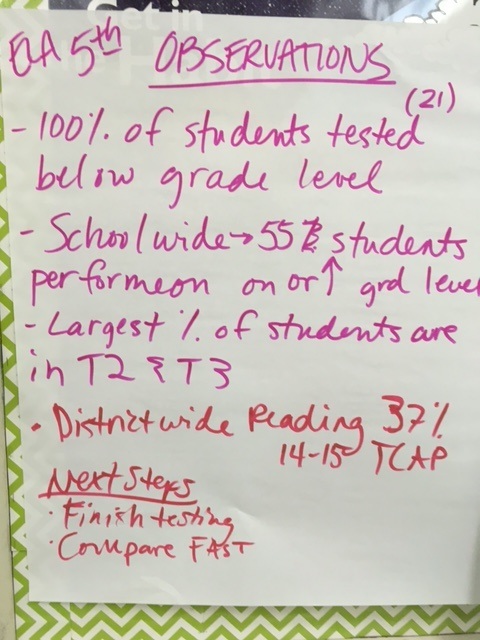 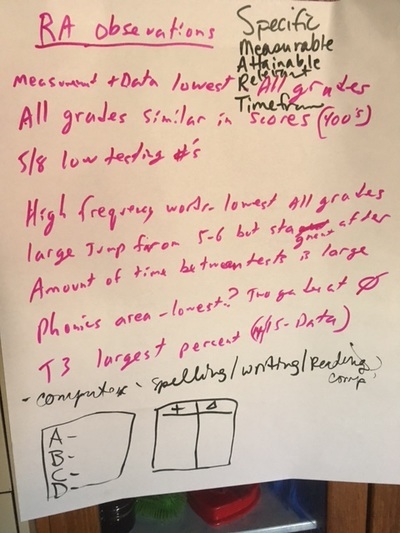 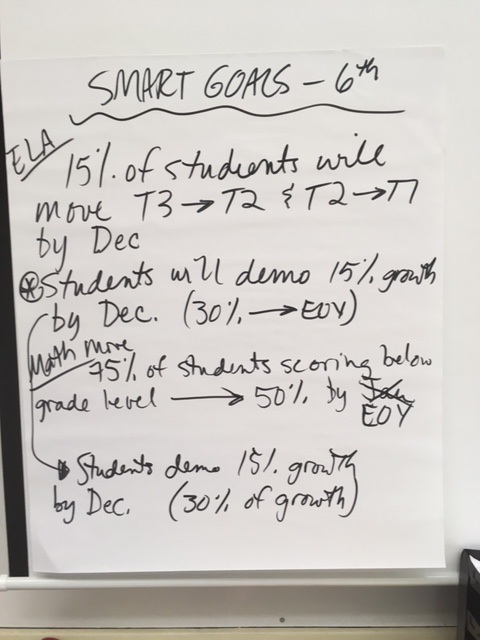 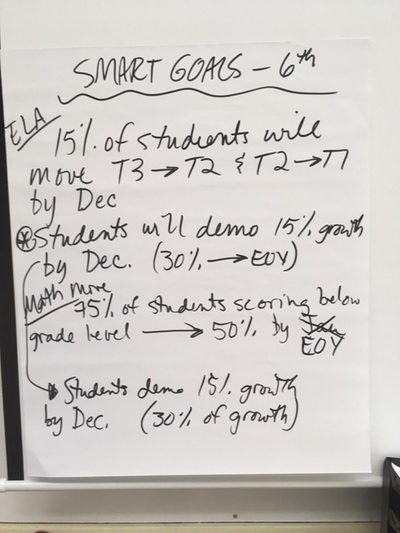 Using i-Ready data for literacy and numeracy, grade level teams made observations of the data and posted them on chart paper. 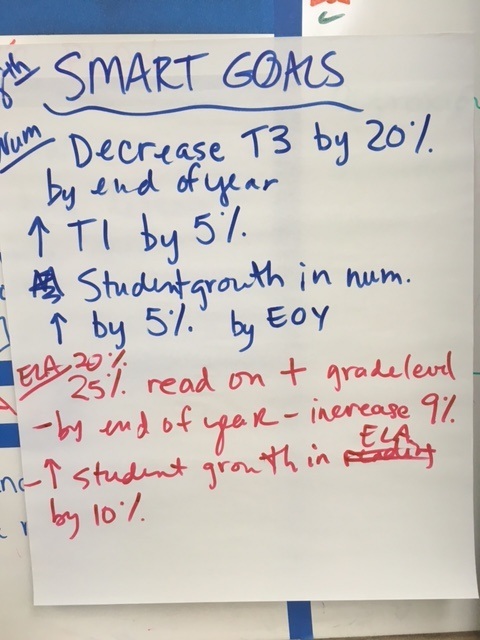 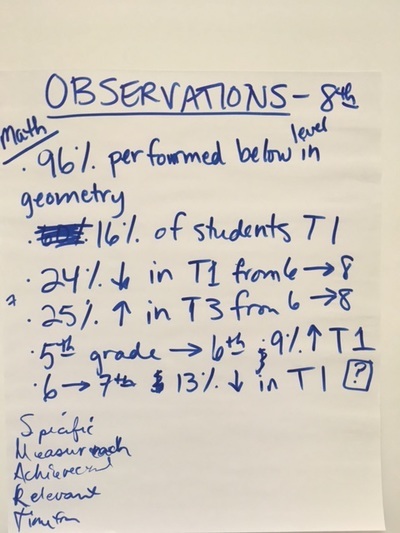 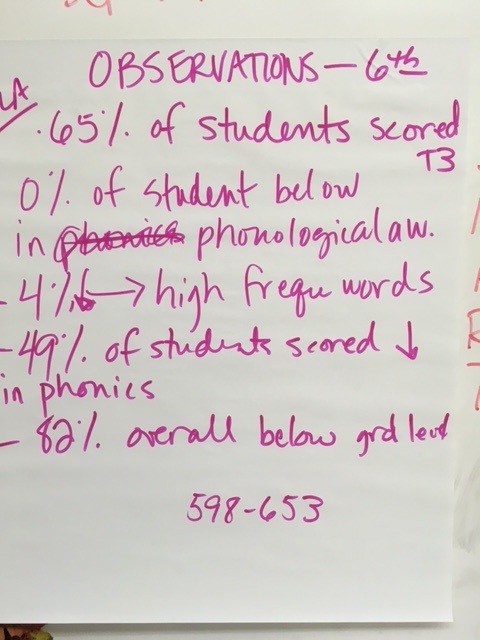 The observations were used to generate multiple SIP goal recommendations for literacy and numeracy.